Most routine ‘liver function tests’ sent to the laboratory will be processed by an automated multichannel analyser to produce serum levels of bilirubin, aminotransferases, alkaline phosphatase, y-glutamyl transpeptidase (yG T) and serum proteins. These routine tests are markers of liver damage but not actual tests of ‘function’ per se. Subsequent investigations are often based on these tests. SERUM ALB UMIN. This is a marker of synthetic function and is a valuable guide to the severity of chronic liver disease. A falling serum albumin in liver disease is a bad prognostic sign. In acute liver disease initial albumin levels may be normal. PROTHROMBIN TIME (PT). This is also a marker of synthetic function. Because of its short half-life it is a sensitive indicator of both acute and chronic liver disease. Vitamin K deficiency should be excluded as the cause of a prolonged PT by giving an intravenous bolus (10 mg) of vitamin K. Vitamin K deficiency commonly occurs in biliary obstruction, as the low intestinal concentration of bile salts results in poor absorption of vitamin K. Liver biochemistry BILIRUBIN. In the serum, bilirubin is normally almost all unconjugated. In liver disease increased serum bilirubin is usually accompanied by other abnormalities in liver biochemistry. Determination of whether the bilirubin is conjugated or unconjugated is only necessary in congenital disorders of bilirubin metabolism or to exclude haemolysis. 1 Aspartate aminotransferase (AST), which was previously known as serum glutamic oxaloacetic transaminase (SGOT). This is a mitochondrial enzyme and is also present in heart, muscle, kidney and brain. High levels are seen in hepatic necrosis, myocardial infarction, muscle injury and congestive cardiac failure. 2 Alanine aminotransferase (ALT), which was previously known as serum glutamic pyruvic transaminase (SGPT). This is a cytosol enzyme and is more specific to the liver than AST. ALKALINE PHOSPHATASE (AP). This is present in the canalicular and sinusoidal membranes of the liver, but is also present in many other tissues, e.g. bone, intestine and placenta. If necessary, its origin can be determined by electrophoretic separation of isoenzymes or, alternatively, if there is also an abnormality of, for example, the ‘YGT, the AP can be presumed to come from the liver. Serum AP is raised in cholestasis from any cause, whether intrahepatic or extrahepatic disease. The synthesis of AP is increased and this is released into the blood. In cholestatic jaundice, levels may be up to four to six times the normal limit. 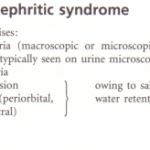 Raised levels may also occur in conditions with infiltration of the liver, e.g. 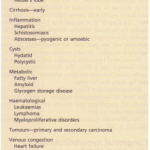 metastases, and in cirrhosis, frequently in the absence of jaundice. The highest serum levels due to liver disease (>1000 IU litre “) are seen with hepatic metastases and primary biliary cirrhosis. ‘Y-GLUTAMYL TRANSPEPTIDASE. This is a microsomal enzyme that is present in many tissues as well as the liver. Its activity can be induced by such drugs as phenytoin and by alcohol. If the AP is normal, a raised serum ‘YGT is a good guide to alcohol intake and can be used as a screening test . Mild elevation of the ‘YGT is common even with a small alcohol consumption and does not necessarily indicate liver disease if the other liver biochemical tests are normal. In cholestasis the ‘YGTrises in parallel with the AP as it has a similar pathway of excretion. This is also true of the 5-nucleotidase, another microsomal enzyme that can be measured in blood. SERUM PROTEINS. Serum albumin is discussed above. Hyperglobulinaemia occurs in chronic liver disease. This is thought to be due to reduced phagocytosis by sinusoidal and Kupffer cells of the antigens absorbed from the gut, which then stimulate antibody production in the spleen and lymph nodes. In chronic liver disease, immunoglobulins are formed by lymphoid and plasma cells that infiltrate the portal tracts. The routine plasma electrophoretic strips contain immunoglobulins in the f3 and ‘Yregions. In cirrhosis there is f3-1’ fusion due to an increase in the faster-moving globulins; the diagnostic value of these strips is, however, limited. In primary biliary cirrhosis the predominant serum immunoglobulin that is raised is IgM, and in autoimmune chronic active hepatitis it is IgG. aI-ANTITRYPSIN. A deficiency of this enzyme can produce cirrhosis. a- FETOPROTEIN. This is normally produced by the fetal liver. Its reappearance in increasing and high concentrations in the adult indicates hepatocellular carcinoma. Increased concentrations in pregnancy in the blood and amniotic fluid suggest neural-tube defects of the fetus. Blood levels are also slightly raised in patients with hepatitis, chronic liver disease and also in teratomas. 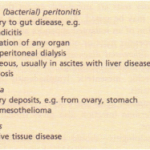 ANTIMITOCHONDRIAL ANTIBODY (AMA) is found in the serum in over 95% of patients with primary biliary cirrhosis (see p. 268). Many different AMA subtypes have been described, depending on their antigen specificity. AMA is demonstrated by an immunofluorescent technique and is neither organ nor species specific. Some subtypes are occasionally found in autoimmune chronic active hepatitis and other autoimmune diseases. NUCLEIC, SMOOTH MUSCLE (ACTIN), LIVER/KIDNEY MICROSOMALANTIBODIES can be found in the serum in high titre in patients with autoimmune chronic active hepatitis. These antibodies can be found in the serum in other autoimmune conditions and other liver diseases. This is now very rarely performed. The liver normally clears BSP from the blood. The level of BSP in the blood after an intravenous injection of BSP is a sensitive guide to hepatocellular damage. A second recirculation peak occurs in the congenital hyperbilirubinaemia of the Dubin-Johnson syndrome. Anaphylactic reactions may occur. 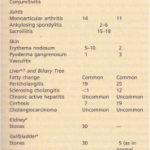 Useful blood tests for certain liver diseases are shown.